Call for Applications: LTI Grants – SPARK! & IGNITE! CALL FOR APPLICATIONS! 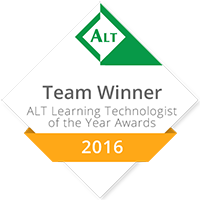 Do you have a great project in mind to enhance your students’ learning with technology? Then why not get funding with one of our grants! 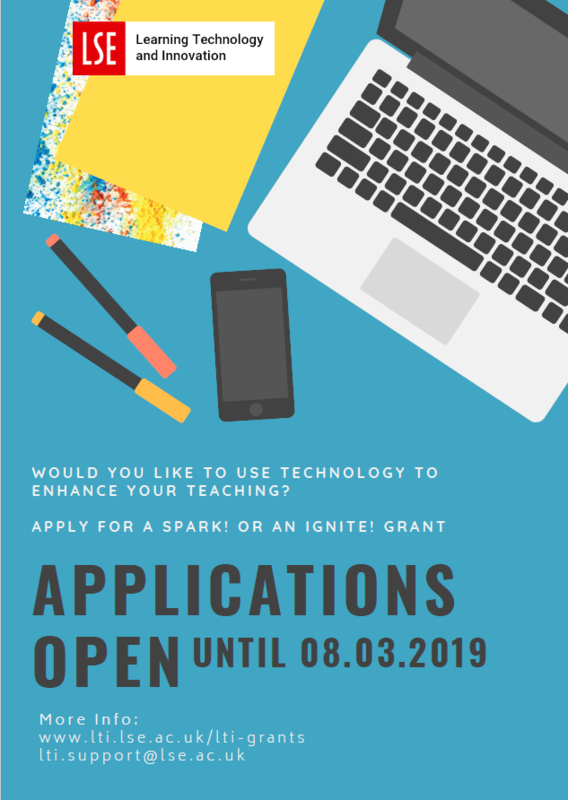 Learning Technology and Innovation (LTI) is currently accepting applications for projects that will take place in the academic year 2019/20 through its SPARK! & IGNITE! grants’ scheme, with an aim to support digital pedagogies and innovative uses of technology for the benefit of students’ learning. There are two types of grants: SPARK!, which offers funding up to £3,000 for small-scale projects and IGNITE!, which offers funding up to £10,000 for large-scale projects (with the potential to have a substantial and lasting impact on teaching, learning and assessment at programme level). These grants are open to all academic staff at the School, as well as to programme or course teams (or whole departments). The DEADLINE for applications is Friday 8 March 2019 (however we do encourage academics to discuss their project ideas and submit a draft application before the deadline). For more information, visit our website: http://lti.lse.ac.uk/lti-grants/. Do you want some inspiration for your future project idea? Check the SPARK! or IGNITE! winners of previous years on our website.